According to a new report Europe Network Transformation Market, published by KBV research, the Europe Network Transformation Market Size would witness market growth of 59.5% CAGR during the forecast period (2017 - 2023). The Large Enterprises market holds the largest market share in Europe Network Transformation Market by Organization Size in 2016, and would continue to be a dominant market till 2023. The Small & Medium Enterprises market is expected to witness a CAGR of 66.9% during (2019 - 2023). The Germany market holds the largest market share in Europe Network Transformation in Information Technology Market by Country in 2016, and would continue to be a dominant market till 2023; growing at a CAGR of 57.5 % during the forecast period. 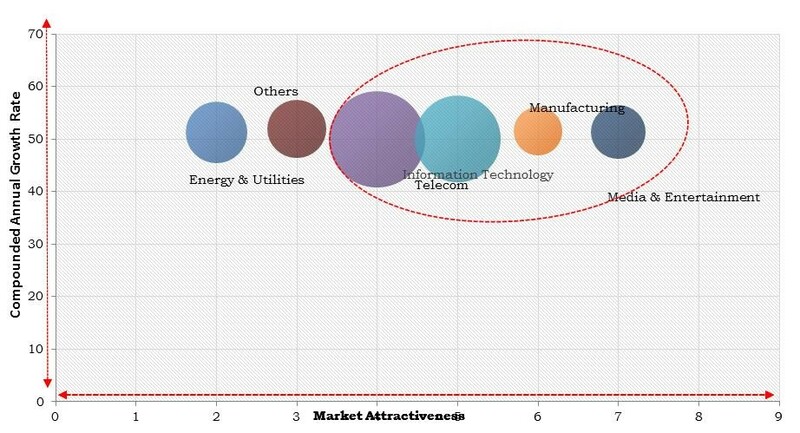 The UK market is expected to witness a CAGR of 59.7% during (2019 - 2023) in Europe Network Transformation in Energy & Utilities Market. Additionally, The France market is expected to witness a CAGR of 61.0% during (2019 - 2023) in Europe Network Transformation in Manufacturing Market. The Solution market holds the largest market share in Italy Network Transformation Market by Component in 2016, and would continue to be a dominant market till 2023; growing at a CAGR of 60.3 % during the forecast period. The Services market would garner market size of $364.1 million by 2023. The market research report has exhaustive quantitative insights providing a clear picture of the market potential in various segments across the countries in the region. The key impacting factors of the Europe Network Transformation Market have been discussed in the report with the competition analysis and the elaborated company profiles of Cisco Systems, Inc., Juniper Networks, Inc., Hewlett Packard Enterprise (HPE) Company, Huawei Technology Co. Ltd., IBM Corporation, NEC Corporation, Intel Corporation, Ericsson, Fujitsu Limited, and Accenture PLC.